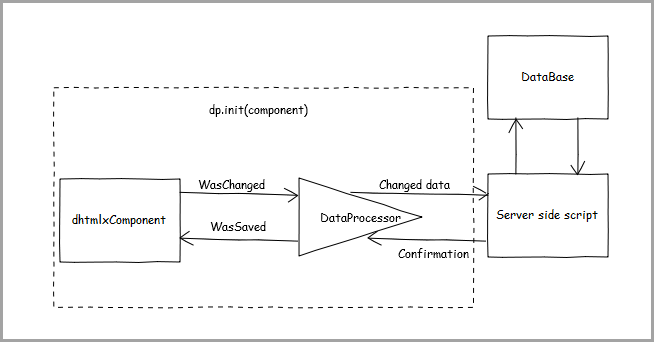 DataProcessor is a clear, functional library that lets you to ‘communicate’ with server-side backend. It not only simplifies work with server-side but also helps to monitor all data changes. You can use it with any DHTMLX component that allows editing inside of itself. For example, Grid or DataView.